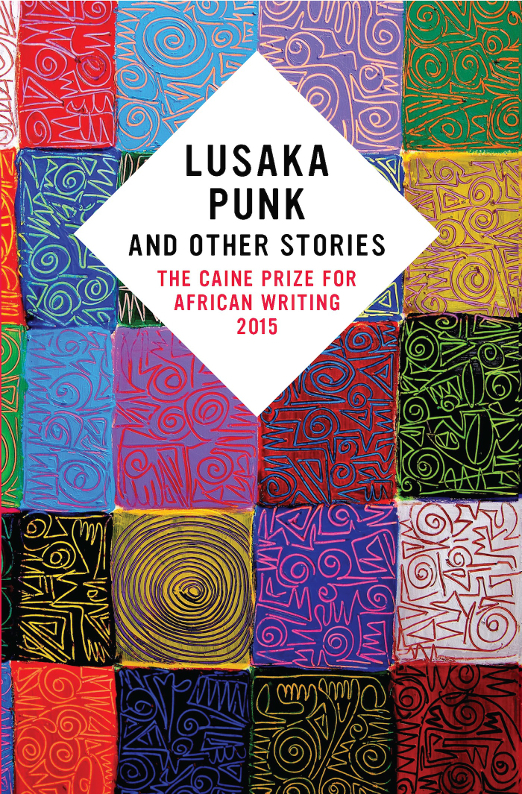 As part of a follow up series to the final announcement of the Caine Prize winner, and in the run up to our review of the Caine Prize 2015 anthology Lusaka Punk and Other Stories, AiW chatted to some of the nominees about their stories, their experience of the prize, and their future plans. Here Nomonde Ntsepo chats to F.T. Kola about her shortlisted story, ‘A Party for the Colonel’. 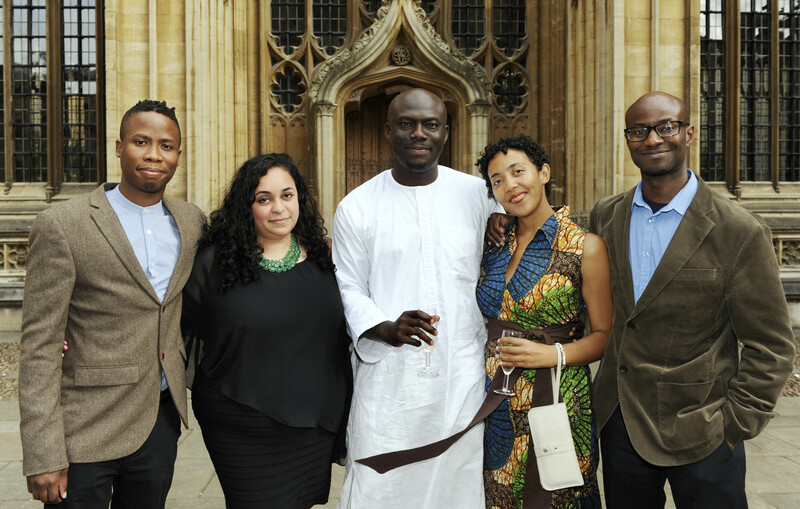 Shortlisted Authors Masande Ntshanga, F. T. Kola, Elnathan John, Namwali Serpell and Segun Afolabi. Picture courtesy of The New Internationalist. Nomonde Ntsepo for AiW: How did you come to write ‘A Party for the Colonel’? F.T Kola: I was in a writing workshop with the novelist Alexander Chee, and he gave us the task of writing a fictionalised version of an anecdote your parents tell about you as a child. At first I really resisted the prompt — it seemed to me like it might be one of those ‘kids say the darnedest things’ type of things, but Alex Chee talked about it in terms of how the stories families choose to tell about themselves can reveal something interesting about the family dynamic and how that family chooses to present itself. What do the stories our families tell again and again really say? What is their actual purpose and meaning? Something similar to what happens to the little boy happened to me when I was a small child in South Africa during the 1980s, and I began to think about what it might have meant for the people around me, and what it would mean in a family like the one the story is about. What are the hidden generational tensions below the surface? To what extent can a child’s inadvertent and unknowing act reveal something that the adults believe they have managed to conceal? From that initial thought, I became interested in a story that was generally about the unspoken dynamics between people. I was interested in putting everyone in this story into a very uncomfortable situation – the party – and seeing how it played out. Could you describe your decision to tell this story from the perspective of the Colonel’s wife? Did her narrative perspective allow you to access spaces you thought were particularly important for this story?The Colonel’s wife was just really the best observer in this group of characters, I think. There are three generations in this story, at a particularly interesting time in apartheid history. They are represented by the men of the family. In 1977, you have an older generation that has seen the rise of grand apartheid (the Colonel’s generation); the generation that will actively dismantle it (the son’s); and the first generation who will live a large part of their lives free of it (the grandson’s). The Colonel’s wife was the character who had the most intimate access into these three lives. By nature, she struck me as an observer, and I think the most interesting people in any kind of setting, particularly a social setting, are those who are watching other people perform. Everyone before her is enacting some kind of performance, and she naturally came to me as the person who might see it all and be particularly attuned to what it all meant, though she would say very little. The Colonel’s wife’s physical attachment to her grandson, which comes also to embody the disappearance of her son, is subtle yet profoundly powerful imagery. Can you speak a little about the importance of their relationship and the language you use to depict it? Part of it came about as thinking of the grandson as an actual object: a loaded gun that is going to go off, so it must always be present to the reader. The actual physicality of that was important to me, and I also just thought of what the Colonel’s wife might need at a moment in which her thoughts are preoccupied by her son’s well-being, while she is helpless to actually do anything about it. The grandson’s presence is simply the next best thing to her son’s presence, and I think her behaviour in regards to him is also driven by an anxiety bordering on superstition and maybe even a feeling of guilt. She feels her inability to protect her son very keenly, and her need to keep the grandson close to her and to watch over him is part of that. So the grandson is at once an object in the story, and an anxious talisman, and a living, breathing remnant of her son. I’m glad you felt the language was subtle: at times I felt I had trouble not being explicit with something so weighted and meaningful to her character. In A Party for the Colonel, many of the characters seem to move along a tenuous line between resisting and perpetuating the violence of the Apartheid system. I was particularly struck, for example, by the Colonel’s refusal to move from their cottage under government segregation policies, when read against his persual of money and racial privilege. Can you talk about the continuously shifting situations of exploitation in the story, and how you depict these? It was really, really important to me to have the Colonel and his wife (particularly in regards to her relationship with the family’s maid, Eunice) be both simultaneously exploited by apartheid and able to exploit others under it. I think that was one of the most pervasive and malignant things about apartheid: that because it operated on a hierarchy of race, it was a system that could oppress you and allow you to participate in the oppression of others. I think that the Colonel is a character of contradictions for that reason: in an effort to regain some of his own dignity and that of his family’s, he has to participate in the system to an extent, and that means perpetuating that hierarchy in order to attempt to climb to a higher place within it. The Colonel’s wife is, for example, finely tuned to the surreal nature of the party and her position in respect to the white guests at it, but she is somewhat tone deaf when it comes to the waiters. She is not able to think of Eunice except in the context of her own suffering. I think the Colonel does everything he can to buy the appearance of respectability by attempting to make himself exceptional, which involves attempting to make the rules of segregation not apply to him while not being concerned about how they apply to others, not realising that is ultimately doomed. Yet I think that, in a sense, he does the best he can. I thought that the Colonel’s occupation – selling insurance – allowed you to explore questions of value under the Apartheid system in great depth. How important was this to you in the telling of this story? It really ties into the above. He really, very simply, is able to make money by valuing the lives of other people, in a system which is all about who has value and who does not based on arbitrary distinctions. F.T. 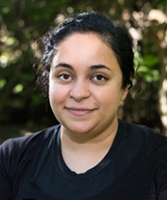 Kola was born in South Africa, grew up in Australia, and lived in London and New York City before pursuing an MFA at the Michener Center for Writers at the University of Texas, Austin, where she is a fellow in fiction. 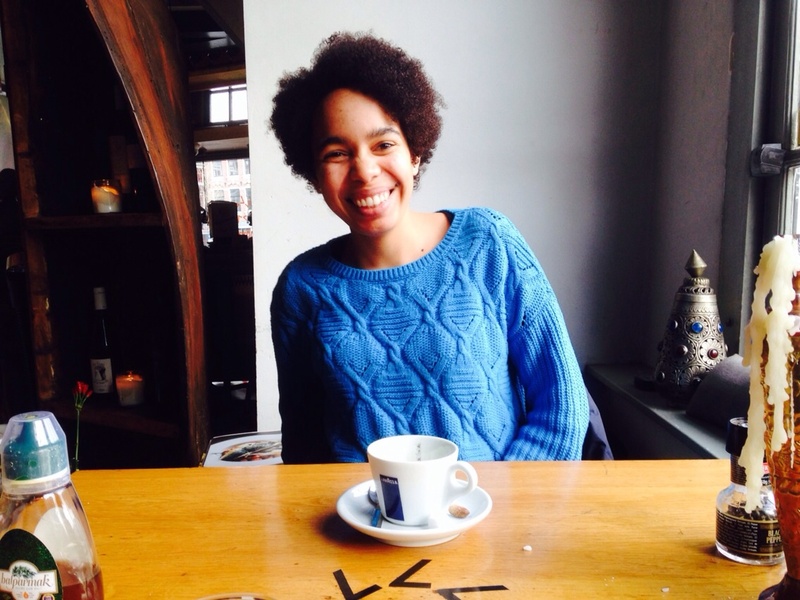 Doseline Kiguru’s AiW review of F. T. Kola’s “A Party for the Colonel” (South Africa), part of AiW’s ‘Blogging the Caine Prize’ 2015, is here. Read Ranka Primorac’s ‘Acts of Mutiny: the Caine Prize and ‘African Literature’’ , an article which forms part of Africa in Words’ 2015 series of comment pieces on the Caine Prize, posted in the run up to our review of Lusaka Punk.